Hello! 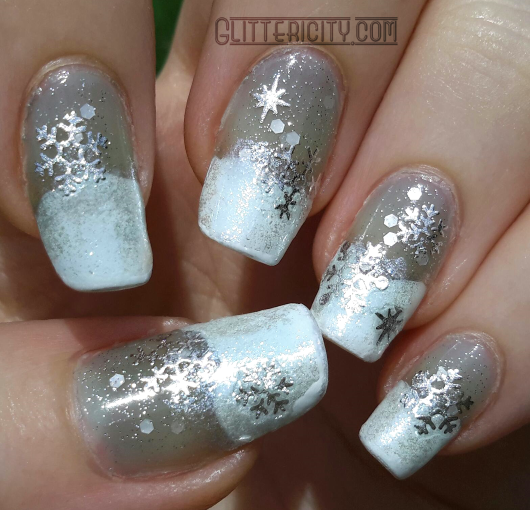 Today I have some wintery, snowy nails today featuring these lovely silver stickers from Born Pretty Store! More snowflakes? YES. I like these so much! 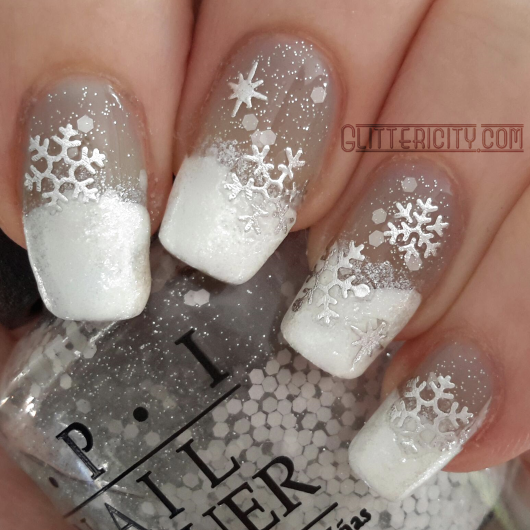 I wanted the tips to look covered in real, powdery, fluffy snow--and I think it does! The background is two coats of I Can Teal You Like Me from OPI's Sheer Tints collection. I'd hoped it would look more blue, like it does in the bottle, but the bluish-grey actually is very reminiscent of a snowstormy day. The tips are done with Ulta Snow White (how appropriate!) and I used two thick coats. I wanted these to be a bit 3D, so it looked like a real snowdrift. I dabbed some of OPI Happy Anniversary! over it so that it would look sparkly and speckly and soft. I then added a coat of Pirouette My Whistle, also by OPI. The tiny silver glitters and big, white, translucent hexes are so right for this. Last, of course, the stickers! 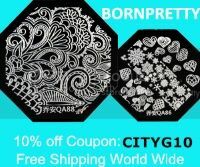 This sheet comes with about fifty snowflakes in either gold or silver, and they are several different shapes and sizes. They are nice quality and were easy to peel off and apply. Of course, I topped it with Seche Vite. Two coats, to be sure. 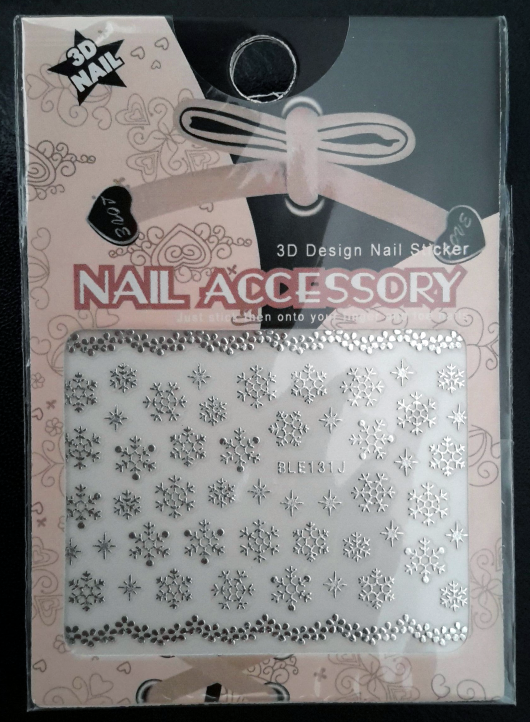 You can find these pretty decals here, as well as heaps of other nail art supplies! The prices are great and shipping is free worldwide. Make sure to use discount code CITYG10 to get 10% off your order!